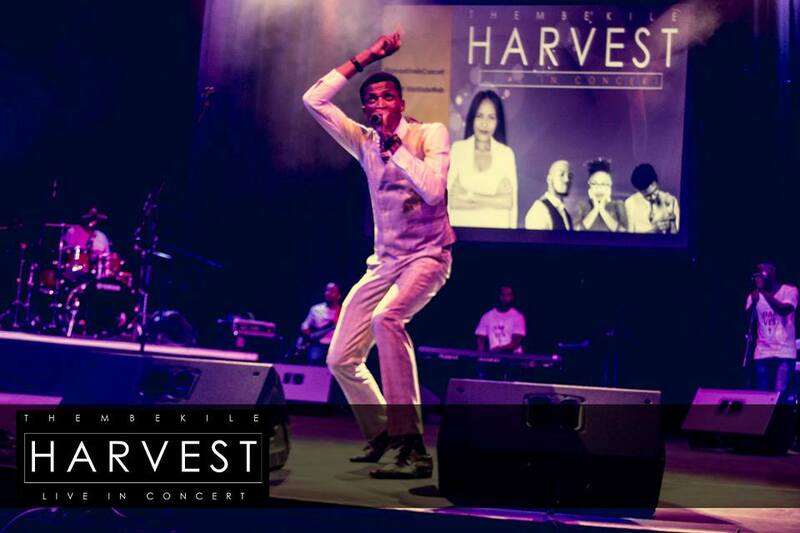 Mpho Matsitle relives the evening of Harvest Live in Concert. We were taught that to be in prayer is to battle with all the forces, good and evil. We might go in all humble, re lebisitse mahlo a rona dithabeng, mo thuso ya rona e ka tswang teng, but once we are in prayer there is no longer pretense. When necessary we battle with God Himself, saying, “Theoha Modimo wa rona! 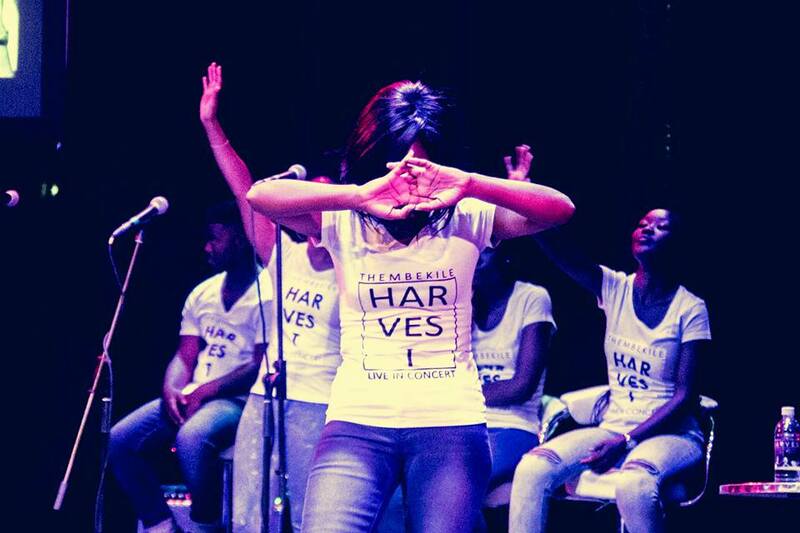 O kopane le rona!” Throughout my interaction with the Harvest Live In Concert troupe, not once has their prayer struck me as a ritual – a practiced set of empty words. Always they were in battle. Thembekile throughout the week leading to the concert was in a protracted struggle with her health – and as a result her voice had sustained a bit of abuse, but behind its bashfulness its golden clarity could be discerned. That notwithstanding, every time in rehearsal she went unguarded for the high pitches, you could sense the nervousness of her team. All fearing that she would strain it further and not be ready for the big day. The big day that began, early in the afternoon of Heritage Day, with a riff of the bass guitar. A simple line repeated over and over to find perfection in it. The clanking of the cymbals. A key smacked once. It’s too loud. Again. Could be better. One speaker is not working. All mics audible. Press the key again. Sound is perfect. Roll on the keys. One more mic check. Each of the vocalists declare on their mics that their fine. These simple statements already reveal the majesty of the voices. One last dumdum of the tom. Perfect! We are at the Mangaung Civic Theatre. It is deserted save for the team and myself. There is not a single official of the theatre in sight. The dirt of the previous night’s event lingers on much as its memories do. I almost lose myself reminiscing on such when Mmangaliso almost takes my prized mageu thinking it’s trash. I’m terribly upset, not about mageu but her sight, together with the other vocalists cleaning the theatre, remind me concretely that despite its vibrant pretensions, Bloemfontein is still pretty much officially a philistine city. No wonder the powers that be did not bother to ensure the theatre is ready for a performance of such awe-inspiring brilliance. One of the first arrivals at the theatre is Sipho Mnyakeni, Thembekile’s pastor whom she hailed as the one who set her off on this course. He is with a group of other young people also from his church, artists in their own right, chewing the cud as they await their sister in Christ. In no time the Civic Theatre fills up almost to capacity. A healthy buzz all about. Selfie time! The stage is set. The band is first to take up their position. The backing vocalists follow. Much like the five maidens of Matthew 25: they kept their lamps burning, awaiting the bride. A voice rings out from the speakers; a manly commandeering voice. It is a prayer – nay; it is an offering. It’s this very concert that is on offer on the altar of sacrifice. May it please the Lord. To lead us in this offering is Thembekile Tshabalala, dressed in red. Shouts, ululations, applause welcome her. She is one with the mic, looks into the ether and talks to her God. Her splendid voice calms the excited masses. We look up to the heavens with her and join the worship At Your Feet. There really is no better place to worship from. The ancient Israelites, being people of the desert, welcomed their guests by washing their feet. It was Mary’s sister that took out her most exquisite oil to welcome Christ in her home by washing his feet with it. To worship at God’s feet is to welcome Him wholeheartedly in our gathering. It does not feel like the show has just begun, but more like there has never been a time without it. It is only the first song, and we are deeply immersed into it. 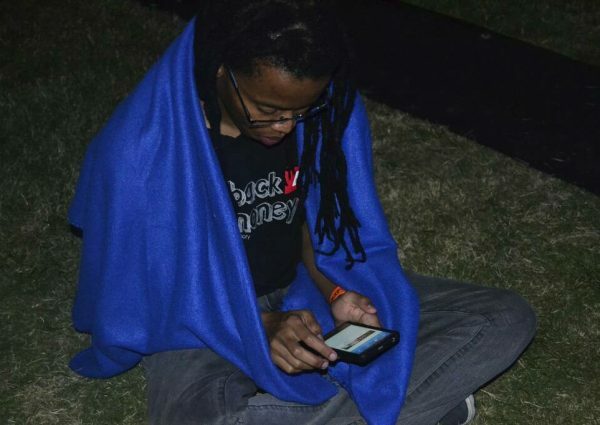 “By the first song nje we can tell she has ministered to a hundred souls,” Twitter testifies. The intensity and depth does not let up; Oceans is a pure marvel. We are witnessing perfect harmony. The lead singer, backing vocalists, and band in sync to the T! The congregation joins this harmony for the first time on One Place. We are in “One Place, One Joy,” in His presence. This very presence in which Thembekile has found peace and joy. At this time the audience sings along. Thembekile has us all collapsed. She wishes to also be at one place with her former band Sound Voices and invites them to join her on stage. “Now behold the Lamb,” they sing as we behold them. The sheer harmony is an altogether new exciting phenomenon. Four amazing voices, one song: we could not wish for more. Yet more is exactly what we get. Harvest is after all a time of plenty. And popular hymns back to back in the Sefela Medley is what’s next on offer. Off the blocks for the first time during this confederation of classics is the phenomenon that has come to characterise any praise and worship experience worth its salt: terene ya moya. 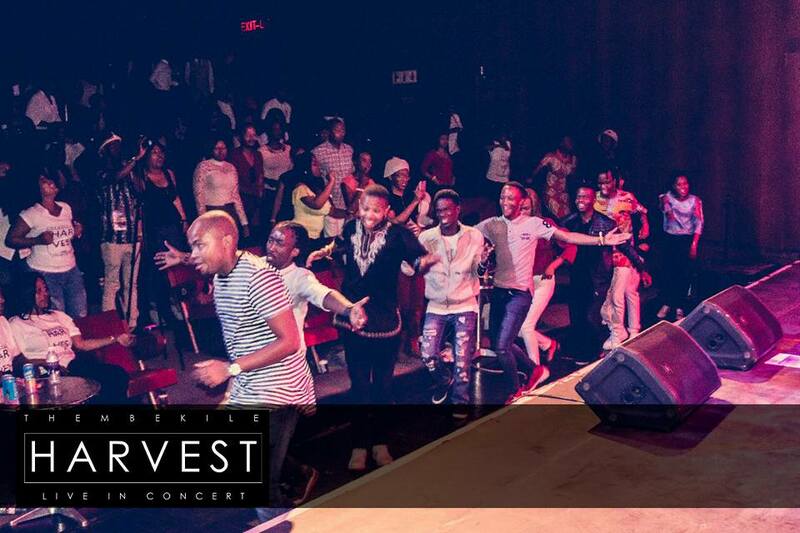 Terene ya moya out in full steam at Harvest Live In Concert. It was captained by a dreaded man this train. In white shirt and blue jeans. Almost in a march, hands flailing in rhythm, with feet taking exaggerated strides, he left his seat somewhere in the middle of the theatre and expropriated space right in front of the stage, beckoning us all to join him. His call was heeded without much prodding. The strides not long but high. The steps quick. Hands rolled in fists, arms in chicken wing stance. Faces oscillating from bright smiles to wide-eyed concentration. No one wanted to miss a step. To the right: step, step, step! Then the sideway step turned to the left. Turn around! Yheeyi! Behind the captain-conductor we run circles around the floor. The musicians on stage are energised by this display. The show is not hers, she is doing it together with us, the gathered masses! We are all in this together! Christ died for us all. “O, I love Him. My Redeemer.” Thembekile proclaims on the slow ballad Christ Died for Me that has the vocalists and congregation swaying side to side. This song proves itself a crowd favourite and has united all the gathered in feverish worship. No seat is occupied. The many have become one! No surprises there; the death of Christ is the very foundation of the faith, of salvation. The mic is handed over to Dumelang, the drummer, to also declare his love. He leaves his drum set and comes centre stage to exalt in an angelic mezza-soprano, not just the love but also the peace that surpasses all human understanding. Ke Kgotso. The audience and choir join him: “It is well with my soul.” Thembekile takes it off from Dumelang. Raises it higher. It is more than well with our souls. There’s a lady in white, in the fifth row from the stage, towards the edge. She is one of the very few people seated in the hall. She is hunched over, face between her knees, hands hanging just above her feet, her back arching outwards almost violently, then collapses inwards in relief. She trembles a little in between the heavy breathing. It too, is well with her soul. Her body is just struggling to acquiesce to that reality. Wethembekile! Thembekile’s ultimate testimony. Her worship. It’s a self-written song. And she is singing it from where it comes: her heart. 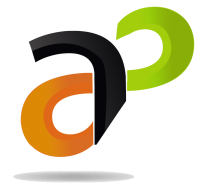 “Akasoze akuyekele. Wethembekile.” Almost as if soothing the lady in white, assuring her that deliverance soon comes. As it did with Hagara and Isaac in the wilderness. For Daniel in the lion’s den. This the first session Thembekile closes off with a song that was surely designed to let us know what is to come in the second session. Khulula is highly energetic and a hair raiser. 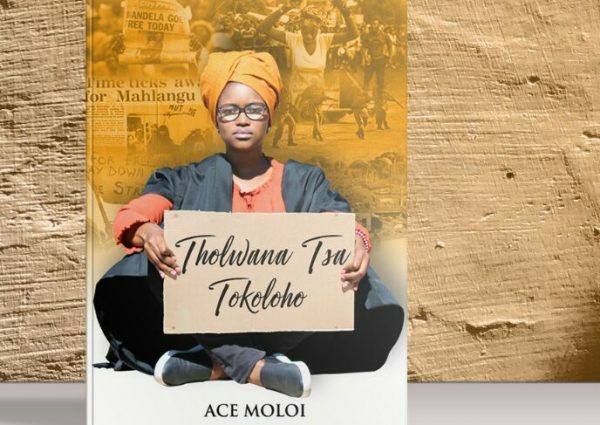 Terene ya moya gets recharged and goes into overdrive. The crowd outpours to the front in frantic dance. Little did we know that that would be their permanent station in the second session. Before the intermission El de Soul filled the entire stage with his presence; he sang with so much passion it almost seemed palpable. And it was left to funny man Tieho Khaukhau to provide the halftime entertainment. 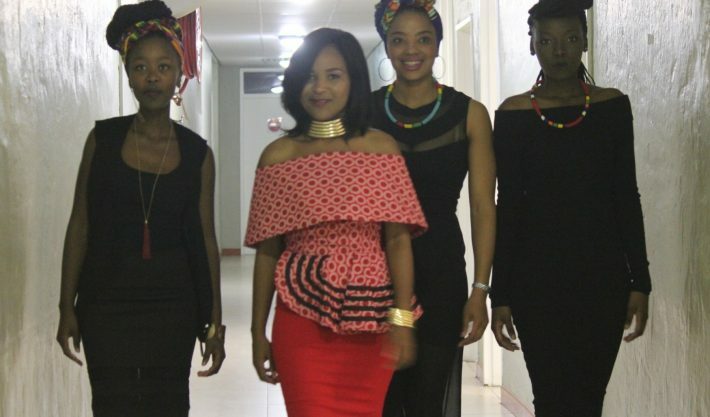 Thembekile and her vocalists came back from the intermission ready to dance in white Harvest branded T-Shirts, blue jeans and white sneakers. They’re met with cheers and tears as they get ready to scatter away any demons that might still be lingering on. First, the wail of Simeone at the sight of Christ, Nna Ke Mmone, to ease us into things. When the old man sang that hymn he was announcing the greatness that was to follow, and we too sang it in the same spirit; things were indeed about to get lit! It is of course a call and response song, rehearsed as such to perfection, but the beauty of it is that it comes out so authentically. The interchange between the lead and her vocalists a thing of sheer brilliance! 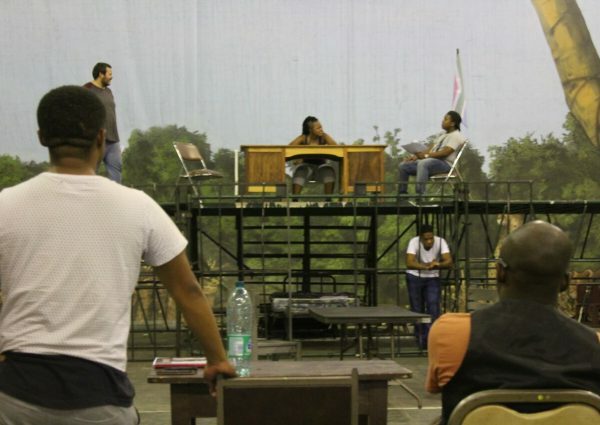 Much like in rehearsal, Thembekile has a corner she takes a breather at between rounds. It’s stool is a couch fit for a queen, the coffee table a pedestal for the Harvest branded water bottles. She visits the corner twice as she relents the battle ring to her guest artists. Almost as if a mother throwing all the sweets in the store at the incalcitrant child throwing a tantrum, Thembekile brings out the surprise act, Sam, who stands tall at the edge of the stage, dressed slimly, one foot on the monitor, mic in a tight gripping hand, the other strong and firm in its concerted effort to reach the heavens, and he elicits a voice so majestic the whole hall almost drowns him out in ululations. Goosebumps galore! “Well, I don’t know Sam, but Sam knows what he’s doing.” Comes a tweet surmising this pleasant surprise. This is the part that got everybody weak, and some on their knees. 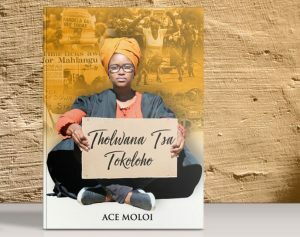 Thembekile can barely walk straight to take up her position centre stage – she too is defeated. “Igama le Simakade igama eli na mandla” she professes when she finally catches her breath. Amen! We conclude our prayers. When she closes off her debut show with a reaffirmation of her hope, Themba Lam, there is no need for a standing as seats haven’t felt any warmth in ages, the ovation is granted. The performers bow out. And just like that, it’s a wrap. But … wait! What happens now? Do we go home? One almost wants to cry – must it really end? It’s a holiday tomorrow after all. An encore is desired, but we are all so spent we hardly have the energy to accept the reality that there was, and is, life outside Harvest Live in Concert.